This Situation Update describes events and issues occurring in Bu Tho and Dwe Lo townships, Hpapun District between April 2014 and February 2015, including the embezzlement of public funds, child labour, and fraudulent gambling. 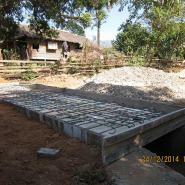 Hpapun District administrator U Aung Than Zaw oversaw the construction of bridges in Bu Tho Township, paid for with government funds. 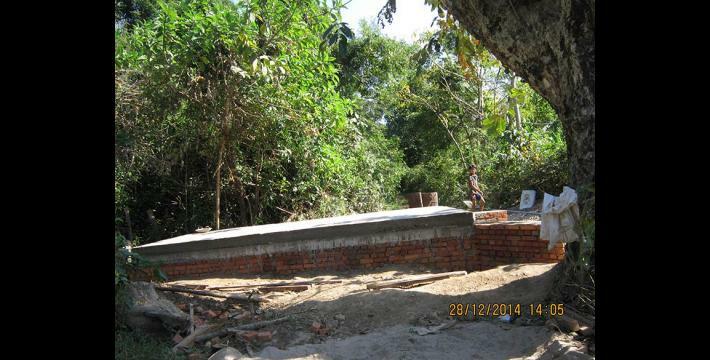 He spent only 14,400,000 kyat (US $12,933.36) of the allotted 30,000,000 kyat (US $26,944.50) on actual bridge construction. The remaining 15,600,000 kyat (US $14,011.14) he used to fund his own business. Two cases of child labour occurred in Hpapun District: one in S--- village, Ma Htaw village tract, Dwe Lo Township; and one in G--- village, Meh Klaw village tract, Bu Tho Township. The two underage workers were employed in construction work and the abuse occurred due to a lack of awareness regarding child labour rights. On September 27th 2014, casino owner U Myint was arrested and taken into custody by Hpapun Township police for cheating people out of their money at the casino. The following Situation Update was received by KHRG in March 2015. It was written by a community member in Hpapun District who has been trained by KHRG to monitor local human rights conditions. It is presented below translated exactly as originally written, save for minor edits for clarity and security. This report was received along with other information from Hpapun District, including five incident reports, ten interviews, and 210 photographs. Regarding human rights in Myanmar, one abuse or another is usually occurring [at] any [one] time, especially by the Naypyidaw [Burma/Myanmar] government, government staff, the Tatmadaw or Border Guard Force [BGF] soldiers. [Abuses] are usually perpetrated the most by the Naypyidaw [Burma/Myanmar] government’s BGF soldiers and [Burma/Myanmar] government staff. The human rights abuses [that I am going to mention now] happened between April 10th and December 27th 2014 in Bu Tho Township and Dwe Lo Township, Mu Traw [Hpapun] District. To be specific, the abuses occurred in: G--- village, Meh Klaw village tract, Bu Tho Township; S--- village, Ma Htaw village tract, Dwe Lo Township; and Kaw Ka Yet village, which is also called Pweh Hta village [in Karen], Htee Tha Daw Hta village tract, Bu Tho Township. The human rights abuses that occurred in Mu Traw [Hpapun] District were: the embezzlement of civilians’ money, the abuse of children’s rights (child labour), cheating [people out of their] money [while gambling]. I am going to mention them all in detail. [First] I am going to discuss Hpapun Township Administrator U Aung Than Zaw, [who is] 35 years old, who embezzled [Burma/Myanmar government] funds [meant to benefit] civilians. He stole money [meant to be spent for the benefit] of the civilians and he used the money that he got for his own benefit. The date [this information was reported to the KHRG researcher] was December 27th 2014 in G--- village, Meh Klaw village tract, Bu Tho Township, Mu Traw [Hpapun] District. The people who are the victims of [U Aung Than Zaw’s] profiteering are a mason, Ko Ye Win Lat, 41 years old, and the villagers from G--- village. They [township administration] are acting this [way] because the current township administrator, district administrator and so forth have been selected from the Tatmadaw [to serve as part of the] Thein Sein administration. They committed the crime of embezzling the civilians’ money or the civilians’ belongings because they learned bad habits while serving in the camp [Tatmadaw] where they became accustomed to using corrupt [practices]. The incident happened as follows. 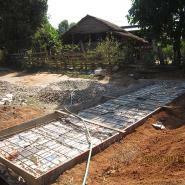 The Myanmar government spends and distributes a lot of money to construct the roads and bridges that are necessary for the villages’ development. 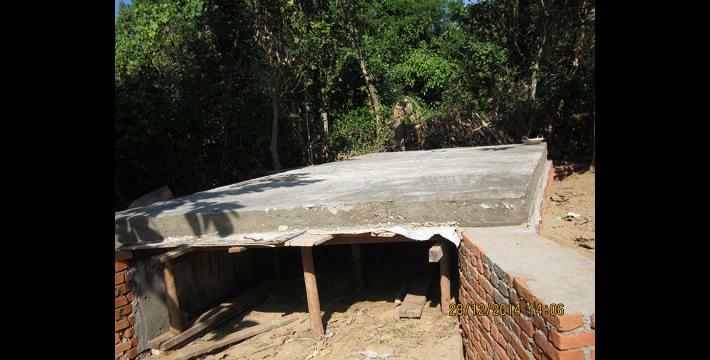 Hpapun Township Administrator U Aung Than Zaw, [who is] 35 years old, constructed bridges in villages using the money distributed by the government. 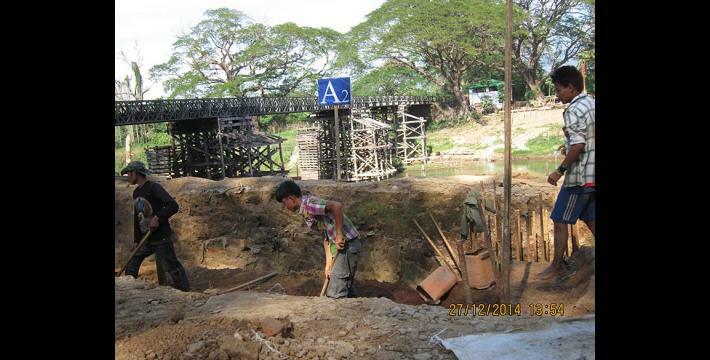 U Aung Than Zaw was given 2,500,000 kyat (US $2,245.36) to construct [each] bridge. However, he spent only 1,000,000 kyat (US $898.15) or 1,200,000 kyat (US $1077.78) on constructing each bridge and used the rest of the money for his own business. Therefore, the money that was meant to serve civilians was not used properly to benefit civilians. The [Burma/Myanmar] government staff unnecessarily used the money for their own benefit which does not benefit the civilians. 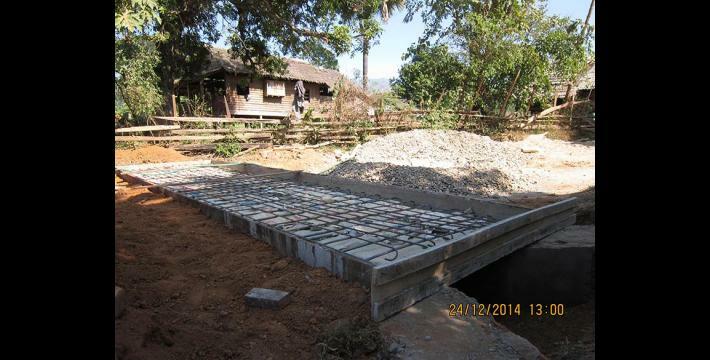 U Aung Than Zaw constructed concrete bridges which are unnecessary: one bridge was constructed in Hway Hmon village, nine bridges were built in G--- village, and two bridges were constructed in Nga Ein Su village in Meh Klaw village tract, Bu Tho Township. He digs the [necessary] pits and constructs the bridges regardless [of the fact that] there is no irrigation, stream, pond, puddle, valley or ravine [in the area that the bridge crosses]. 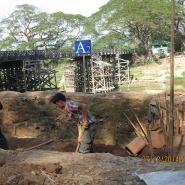 Regarding the construction [cost] of the bridges, the government budgeted 2,500,000 kyat (US $2,245.36) per bridge. [One of] the bridge constructors, Maung M---, who is 41 years old, said, “It cost only 1,000,000 kyat (US $898.15) or 1,200,000 kyat (US $1,077.78) [per bridge].” The government budgeted 30,000,000 kyat (US $26,944.50) for 12 bridges. Since it actually cost 1,200,000 kyat (US $1,077.78) per bridge, it would only cost a total of 14,400,000 kyat (US $12,933.36) for 12 bridges. The rest, 15,600,000 kyat (US $14,011.14), is in U Aung Than Zaw's possession. Therefore, the civilians’ money is wasted. In Bu Tho and Dwe Lo townships, Mu Traw [Hpapun] District, although I think that human rights abuses have decreased, I have observed that human rights abuses still happen. If one type of abuse has disappeared, another new type of abuse has occurred. On December 27th 2014 a children’s rights abuse happened [was observed by a KHRG researcher] when child labour occurred in Ku S--- village, Ma Htaw village tract, Dwe Lo Township. 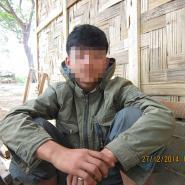 [A case of child labour also took place] in G--- village, Meh Klaw village tract, Bu Tho Township, Mu Traw [Hpapun] District. 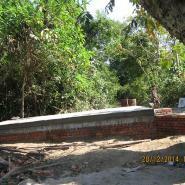 In S--- village, the perpetrator is [a Burma/Myanmar government] construction group leader and engineer U Maung Maung Than, 54 years old, who was sent on special duty by the [government] construction department to construct the bridge in [the] village. The victim is Saw A---, who is also called Saw B--- and is [only] 16 years old. 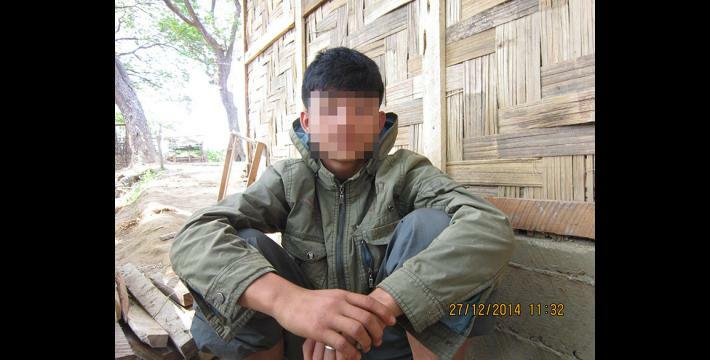 In addition, child labour occurred [was observed by a KHRG researcher] in G--- village, Meh Klaw village tract, Dwe Lo Township on December 26th 2014. 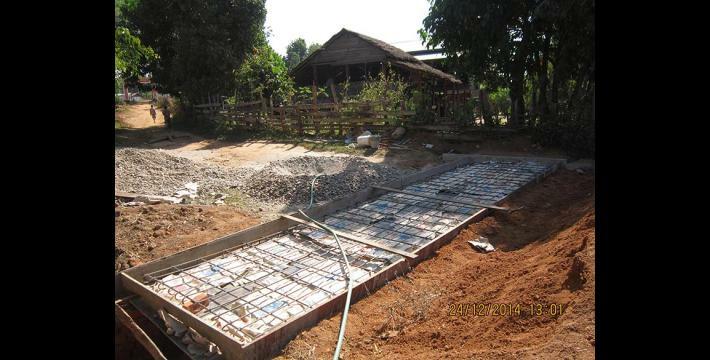 The perpetrator was Ko Si Thu, an engineer from Hpapun Township’s construction sub-department office. 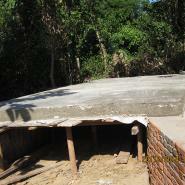 The victim was Ma C---, a 16-year-old from D--- village, Bago Division. The abuse happened because the construction engineers in charge do not know a lot about children’s rights, while the parents also do not know the rights of their children. To state clearly, the [Burma/Myanmar] government authorities do not educate and explain to the civilians about child rights. The administrators at many different levels also do not know about human rights. Therefore, children are being asked to work in many different types of jobs. No one, including the Myanmar government leaders at different levels, as well as the parents and civilians, wants to solve this problem. There is also no one who will distribute the literature [about children’s rights] for the civilians to understand. The children are asked to work the same as adults in every working place. The case of cheating [people] out of money happened [was reported] on September 1st 2014 in Kaw Ka Yet village ([called] Pweh Hta village [in Karen]), Htee Tha Daw Hta village tract, Bu Tho Township, Mu Traw [Hpapun] District. The issue is that civilians are being cheated out of their money. The main perpetrator cheating [people] out of their money is U Myint, [who is] 72 years old. He lives in Bu Ya Phyu village, Kha Yan Thon Khwa Township, Yangon Division. The people who committed [the abuse] with him are BGF soldiers of the Myanmar government from Company Commander Tin Win’s BGF Battalion #1014. The victims are U T---, 55 years old, who lives in U--- ([called] V--- [in Karen]) village, Meh Klaw village tract, Bu Tho Township, Mu Traw [Hpapun] District and the people from Hpapun, Ka Ma Maung and Shwe Gon [town] areas who came and gambled. According to local people, [they were] cheated [out of a total of] 160,000 kyat (US $143.70), which was taken by U Myint. The reason he was doing this [cheating people out of money] was not just to get money. It was [also] to create a huge social problem between the KNU and Myanmar government in mixed-control areas. U Myint appointed Company Commander Tin Win and the soldiers from BGF Battalion #1014 as his general [private] security while gambling at the casino. Through gambling he [U Myint] made a lot of money. After nearly one month of gambling, on September 27th 2014, the police from Hpapun Township went and arrested U Myint and he was detained in a Hpapun Township police cell. However, no one now knows where he has been sent to from the Hpapun Township police cell. There has also not been any compensation for the gamblers. Regarding the problems that led to human right abuses, as long as there is no accurate [strict] rules that are set up for the Myanmar government’s Tatmadaw and government staff and as long as the Tatmadaw and the [government] staff cannot control or stop their minds being greedy, one abuse or another will happen at any [given] time. Border Guard Force (BGF) battalions of the Tatmadaw were established in 2010, and they are composed mostly of soldiers from former non-state armed groups, such as older constellations of the DKBA, which have formalised ceasefire agreements with the Burma/Myanmar government and agreed to transform into battalions within the Tatmadaw. BGF battalions are assigned four digit battalion numbers, whereas regular Tatmadaw infantry battalions are assigned two digit battalion numbers and light infantry battalions are identified by two or three-digit battalion numbers. For more information, see “DKBA officially becomes Border Guard Force,” Democratic Voice of Burma, August 2010; and, “Exploitation and recruitment under the DKBA in Pa’an District,” KHRG, June 2009. Hpapun Township is a Burma/Myanmar government demarcation in Kayin State, which corresponds to the Karen townships of Lu Thaw, Dwe Lo and Bu Tho, which are located in the Karen demarcated district of Hpapun, Karen State. All conversion estimates for the kyat in this report are based on the June 16th 2015 official market rate of 1,113.40 kyat to the US $1. The researcher is stating his opinion that this gambling incident could be reported by villagers to the KNU, who would have to advocate on their behalf with the Burma/Myanmar administration, thus adding to existing tensions between the two administrations in this mixed control area. Company Commander Saw Tin Win from BGF’s Battalion #1014 has been implicated in human rights violations, such as torture and killing, as well as land confiscation and forced labour. For more information regarding these abuses and those of other officers in BGF Battalion #1014 see, “Human rights violations by Border Guard Force (BGF) Battalion #1014 in Bu Tho Township, Hpapun District, May 2012 to March 2014,” KHRG, June 2015.